Prime Minister Narendra Modi is presently addressing a public meeting in Chhattisgarh capital Raigarh. 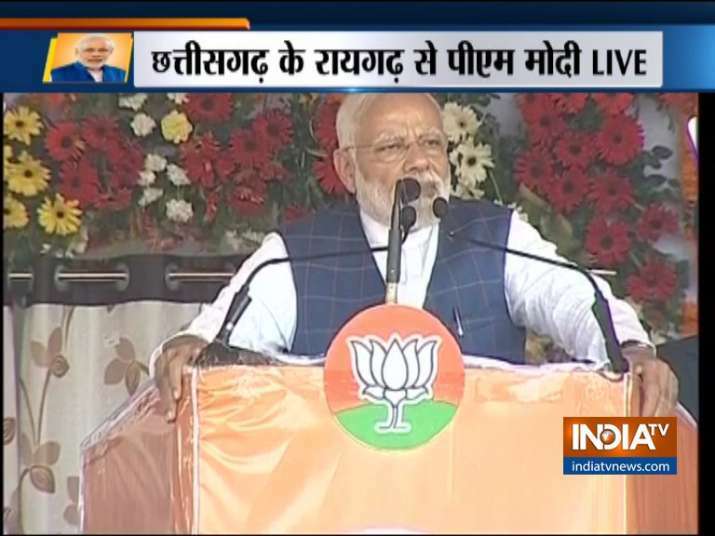 This is prime minister's first rally in Chhattisgarh after the BJP suffered a massive loss in the state assembly elections in December last year.The rally is aimed at energising party workers and supporters ahead of the Lok Sabha elections 2019. Former Chief Minister Raman Singh, Union Minister of State for Steel Vishnudeo Sai, Rajya Sabha MP Ramvichar Netam are among those who are present on the occasion.